Exploration no. 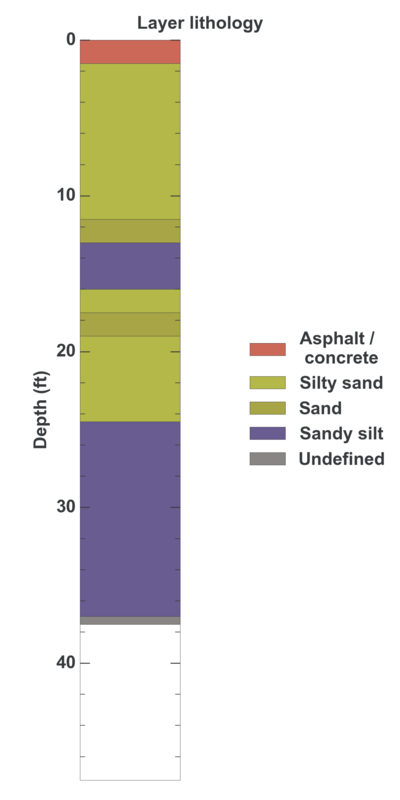 72020 is a Geotechnical (depth 37.5 feet) named: B-2A described in subsurface document no. 15353. The document, a report titled 196th Ave SE Road Failure was prepared by King County, Dept. of Public Works, Div. of Roads and Engineering on 06-27-1990 for a Landslide project.